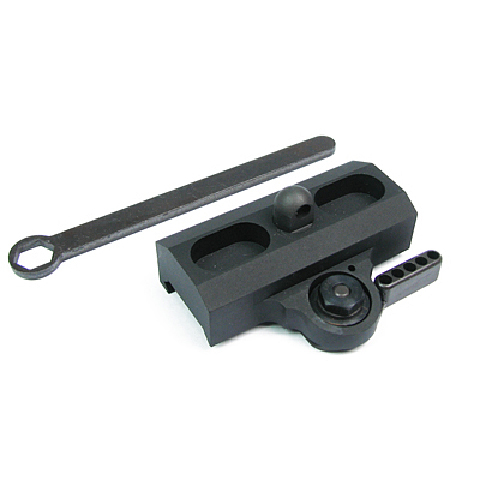 Bipod adaptor for 20mm standard rail. CNC made Tactical Harris QD Bipod Adapter and Sling Mount. 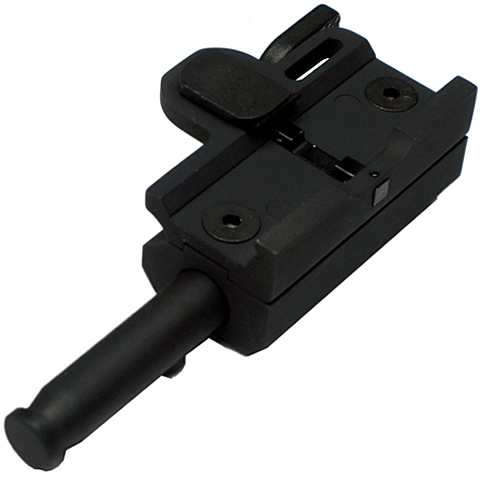 It can be mounting on standard 20mm rail and the QD throw lever design allow user to attach or remove the bipod or sling easily. 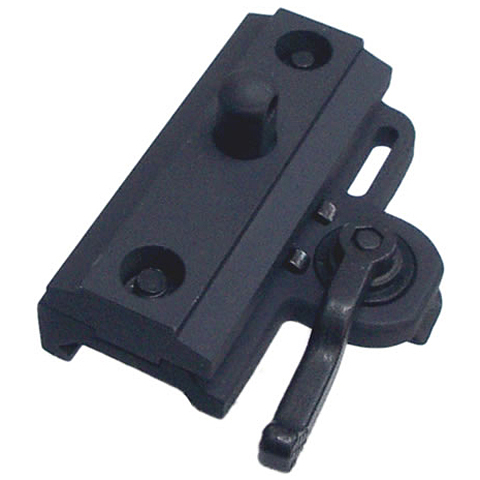 Lock lever adjust tool included. 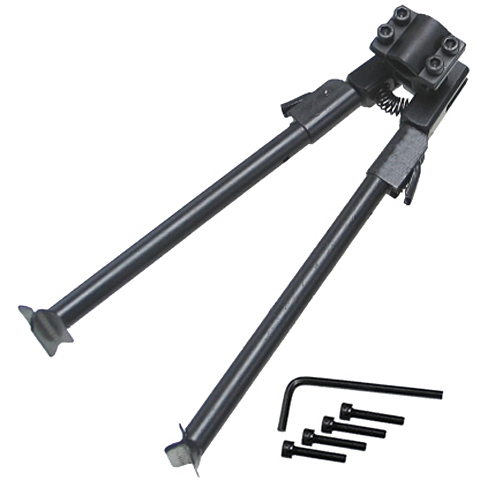 Universal Folding rifle bipod is suitable for all barrels between 15mm to 21mm. 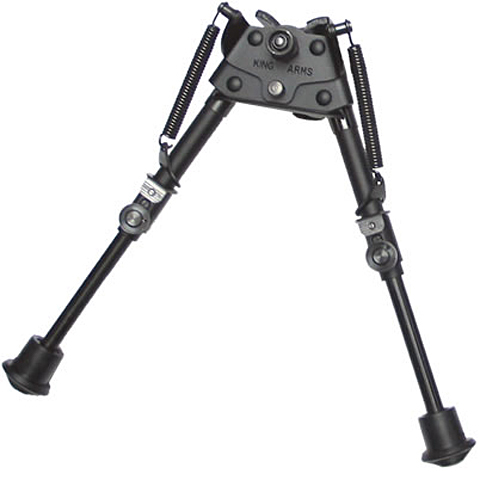 The bipod is foldable. 8 height levels in 20mm increment are available. 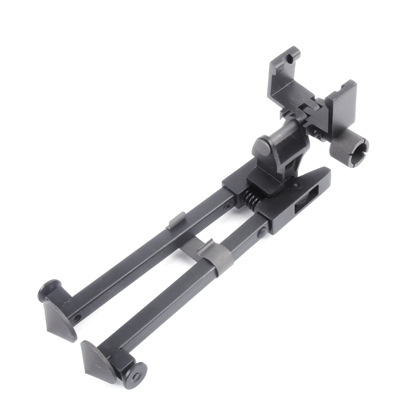 Quick attach AK Bipod. 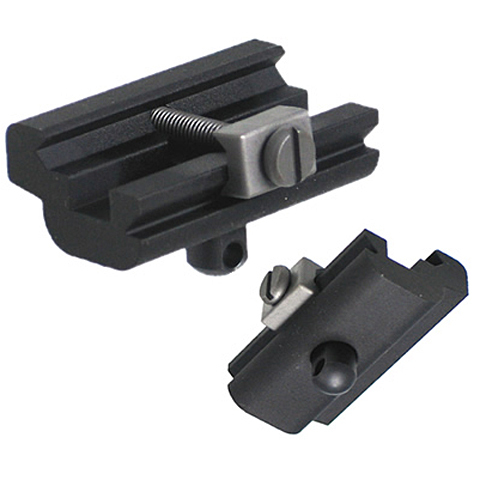 It is suitable for all AK barrel. 8 height levels in 20mm increment are available. 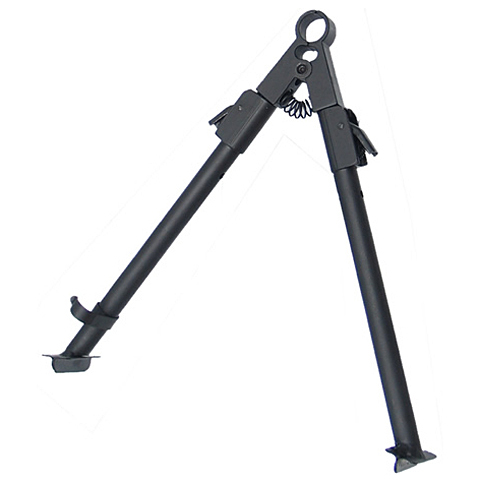 Rail mount Folding bipod. 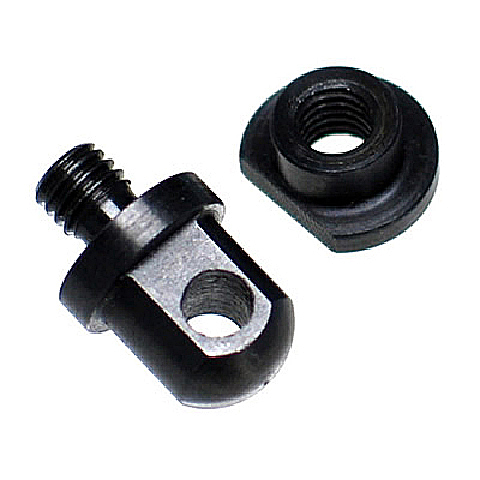 It is suitable for standard 20mm rail. 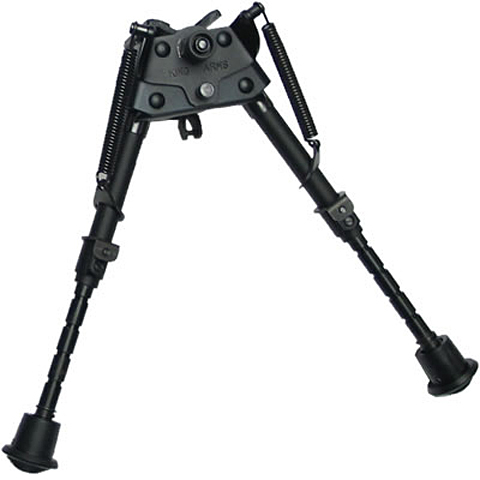 The bipod is foldable. 8 height levels in 20mm increment are available. 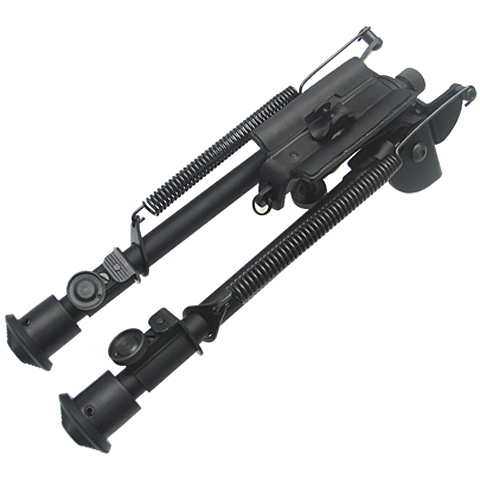 FAL tactical bipod for KingArms FAL. 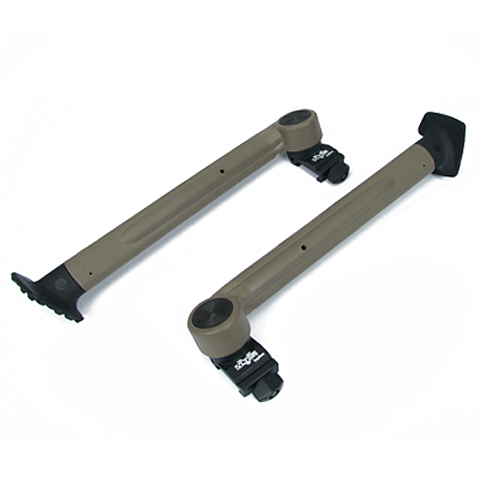 Mounts on the outer barrel of FAL. Will fit the space of the handguard when it folds up. 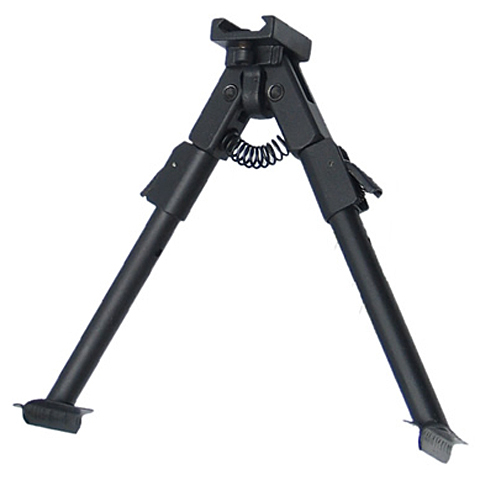 Spring Return Bipod (Long Type). Can extends from 20cm to 30cm. 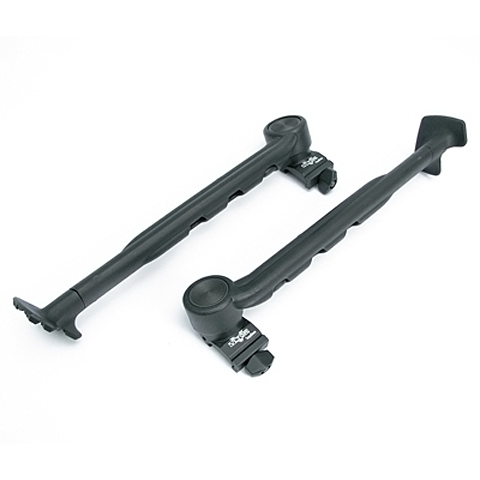 Vltor Side Mounted Bipod which will fit on 20mm standard rail. 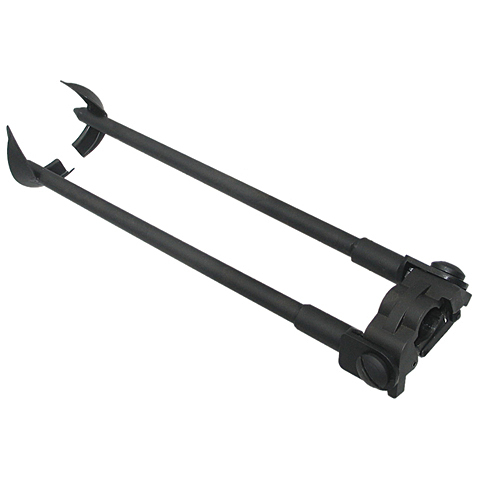 Can extend to 3 different lengths, ranging from 23.5cm to 30cm. 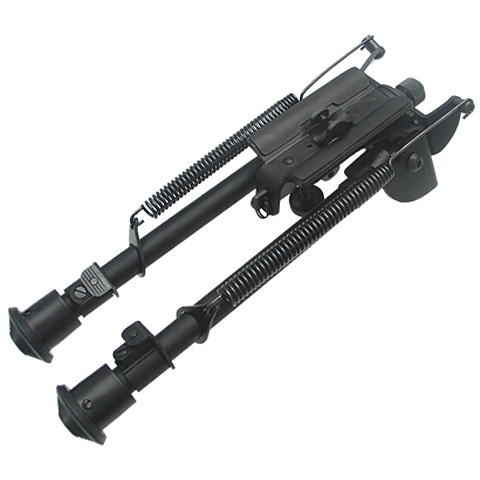 Quick Attach SVD Bipod . 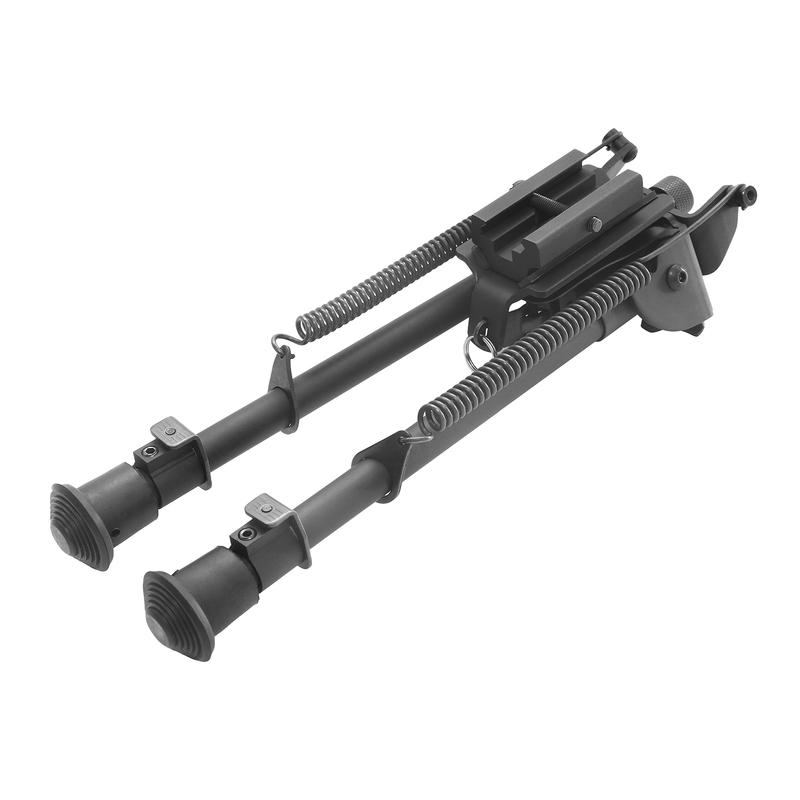 Will fit all SVD rifles currently in market. Can extend from 16cm to 22 cm. 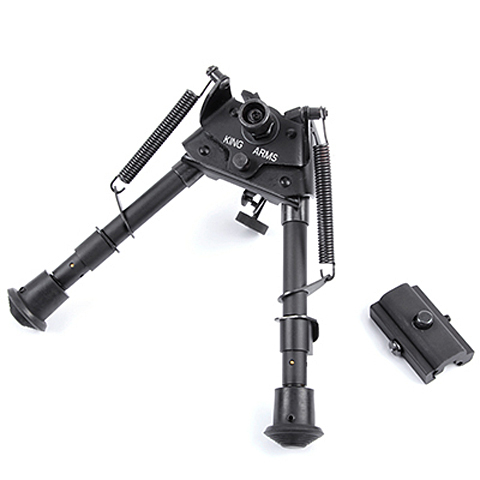 Spring Eject Bipod (Long Type) - Ver.2. Can extends from 20cm to 30cm.